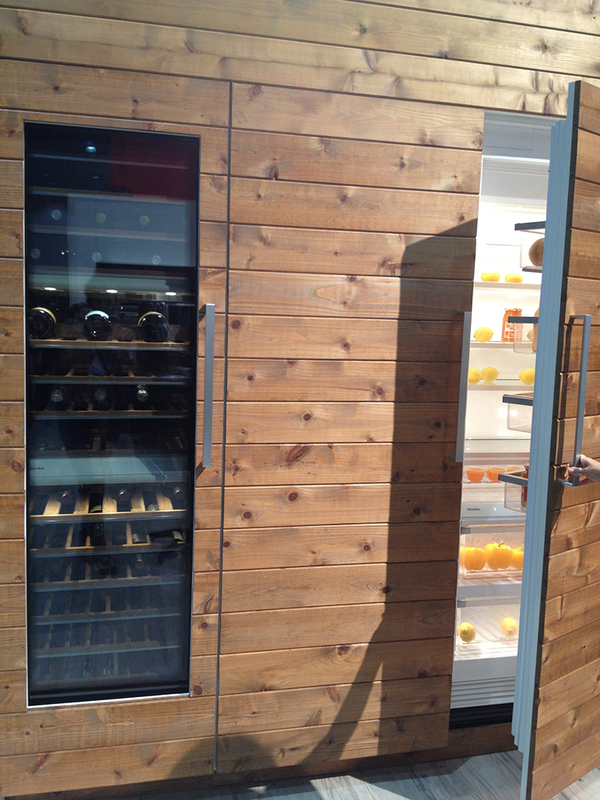 Miele has their clever wine and refrigerator storage on display, for a minimal look. Huntington Beach-based Caliber’s space-age looking (think Jetsons or Star Wars) grill can also be used as a rotisserie or for smoking and searing. SHLV offers customizable cabinetry made out of various materials, like Japanese burnt wood, and servo drive closures. Lutron—where fashion meets technology—offers automated window treatments in four different fabric lines. Whether you’re looking to cover an entire wall, or decorate with a small panel, Keystone Cabinets allow you to choose from their multiple, colorful options, or create your own. Moxie, the newest innovation by Kohler, uses Bluetooth technology and enables users to enjoy up to seven hours of music (or until your hot water runs out). Victoria + Albert Bath LLC, who pioneered the use of volcanic limestone, showcases the Tombolo, a contemporary bath rack, as well as three of their multiple bath styles (which they will offer to let you climb into to get the full effect). For a more rustic look, check out the Native Trails booth, and their new Americana Collection.